There are 28 days left to enter! Discover the delights of Eastbourne, the UK’s sunniest resort on the south coast this summer. 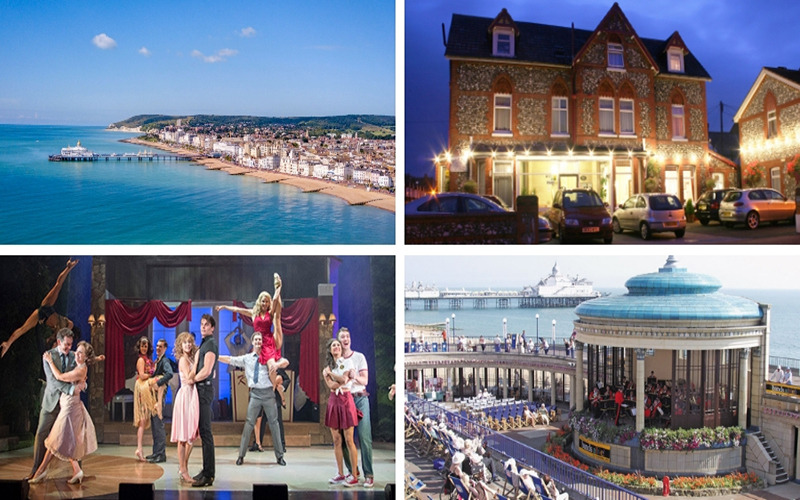 One lucky winner will be treated to a fantastic musical theatre break, staying for three nights in a 4 star former Victorian school house located just minutes from Eastbourne’s beautiful palm-lined promenade. Relax in your double room at the 4-star Bella Vista guesthouse which was a finalist in the AA Friendliest B&B Awards! Your three night stay will include a complimentary breakfast each morning with the option to upgrade to half board too. A short walk from your accommodation will take you onto the famous pier built in 1870 where you can admire the wonderful sea views and tuck into some traditional fish and chips. Your prize package also includes two tickets to the opening night of the musical ‘Dirty Dancing’ at the Congress Theatre on 15 July, a pair of tickets to enjoy a concert of your choice at the Eastbourne Bandstand which has a variety of star-studded tribute performances plus a £50 voucher to spend on a fantastic meal and drinks at the Stage Door pub ideally located close to all the theatres, so you'll be able to enjoy a super night out on the town! As Eastbourne is the gateway to the stunning South Downs National Park, you can escape the hustle and bustle of daily life and breathe in the fresh air as you explore the rolling countryside or stunning coastal landscape. Or take a trip to Sovereign Harbour and dine al-fresco in one of the marina’s superb restaurants. This break is sure to leave you feeling relaxed and revitalised.